The UN’s new climate chief says she’s worried about President Donald Trump – but confident that action to curb climate change is unstoppable. But former Mexican diplomat Patricia Espinosa told BBC News that the delay in any firm announcement suggests the issue is still unresolved. She travels to US this weekend to try and meet the new US secretary of state. 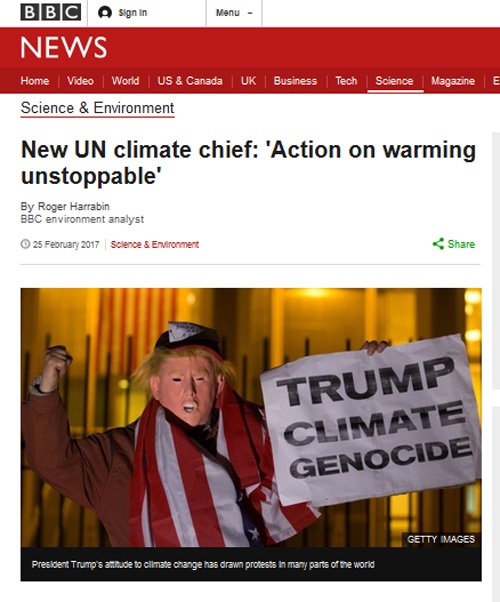 Ms Espinosa said it would be more damaging for the US to leave the on-going climate talks process altogether than to stop funding the clean energy programme.